My family and I took the 5 glacier and Taku Lodge tour while cruising Alaska’s Inside Passage. This was a last minute decision that turned out to be a highlight of our trip. The experience was awe inspiring, being above the endless glacier expanse. We loved our visit to Taku Glacier Lodge. We went as a family of four, ages 56 – 80. The views from the plane were exquisite and we took lots of pictures. It is the best way to see the beauty of Alaska, glaciers, mountains, rivers and Alaskan splendor. My cousin used to be a bush pilot in Alaska, and he told us that we would be missing out if we didn’t do this trip. The day of our excursion, it was overcast and rainy. We were met on the dock by a representative who told us that visibility was bad and the excursion was cancelled for our time. We were given the option of cancelling or hoping that it cleared up for a later time. I’m so glad we didn’t cancel! When the next trip was available, the skies had cleared, and the trip was on! The sight of the glaciers from an aerial view was just spectacular and seems so surreal. Would highly recommend this excursion to anyone never seeing the glaciers quite like this before. I wanted to see a part of Alaska that can not be reached by train or bus. I could not imagine a better way to do that than by float plane. The trip filled up the first day. So book before you get on the boat. If it is already full, get on a waiting list. You came too far NOT to enjoy this!!! What a beautiful lodge tucked away in an already beautiful place! 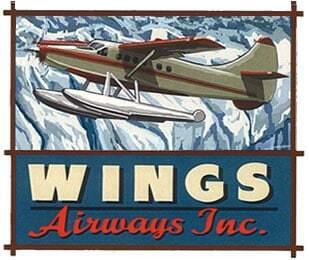 Wings Airways float plane Flight and Feast is something you want to do – even as a local! This adventure probably ranks up at the top of a very long list of fun/stunning/valued adventures my family and I have had. the views from the floatplane over some of the glaciers and areas of Alaska you just can’t access any other way will have you snapping 1000 pictures. The Lodge, the history, the setting the salmon feast – totally worth anyone’s time you might have in Alaska. We have been to Alaska three different times. We have done nearly a dozen salmon bakes (we love salmon, okay). I have always left feeling so-so about the food. Not this time. I seriously would have licked my plate clean if we hadn’t been in public. The food was amazing. BUT… Even without the food, this excursion would have ranked on our list of favorites. The Taku Lodge experience was a great introduction to the beautiful state of Alaska. The story about Mary Joyce, who was the second owner of Taku Lodge and an incredible pioneer woman, exemplifies the spirit of Alaska. In my ten cruises, I choose excursions very carefully because I am not a “get on the bus” tourist. The float plane to the Taku Lodge was absolutely the best cruise excursion I have ever done. This experience was just amazing. Everyone on the plane had a window seat and the commentary was brilliant. The views were amazing. We arrived at Taku Glacier Lodge and it was like something out of a storybook. What a beautiful place. Would wholeheartedly recommend this trip. Probably the number one highlight of our holiday. Between the seaplane flight, beautiful scenery, knowledgeable commentary and incredible food, this attraction is worth the time and money. It was by far one of the top tours we took in Alaska. I would recommend this highly to anyone who is planning an Alaska trip. 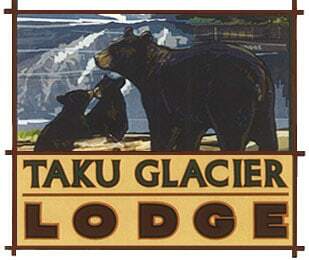 Excellent adventure into Alaska’s outback, and to a historic frontier destination: Taku Glacier Lodge. Landing in the Taku River is also an experience, and seeing how far-out in the frontier this lodge was built… Wow!